Around 195 countries grow the sugarcane crop to produce around 1.5 billion tones. The world’s largest producer of sugarcane by far is Brazil followed by India. Pakistan is the 5th largest country in the world in terms of area under sugar cane cultivation, 11th by production and 60th by yield. Sugarcane is the primary raw material for the production of sugar. Since independence, the area under cultivation has increased more rapidly than any other major crop. It is one of the major crops in Pakistan cultivated over an area of around one million hectares. It is mainly grown for sugar and sugary production. It is an important source of income and employment for the farming community of the country. 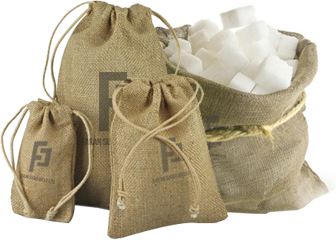 It also forms essential item for industries like sugar, chipboard, paper, barrages, confectionery, and use in chemicals, plastics, paints, synthetics, fiber, insecticides and detergents. The sugar industry in Pakistan is the 2nd largest agro based industry comprising 90 sugar mills with annual crushing capacity of over 65-70 million tones. Sugarcane farming and sugar manufacturing contribute significantly to the national exchequer in the form of various taxes and levies. Sugar manufacturing and its by-products have contributed significantly towards the foreign exchange reserves through export as well as import substitution. Sugar production of the country for the season 2017-18 was reported around 6.5 million metric tons. By the grace of Allah, our mills performance was above our expectation; again crossed 100,000 metric tons and produced 105,633 metric tons- 2nd highest production of the history. During the financial year under review, the Federal government, pre-empting a sugar glut in domestic market, allowed 2,000,000 metric tons sugar export with freight support subsidy at the rate of Rs. 10.70 per kg on sliding rate basis at the international prices of $376 – $499 per metric tons; Out of which 500,000 metric tons for season 2016-17 allowed in the month of October and 1,500,000 metric tons for season 2017-18 allowed in December 2017. The Sindh government also approved additional subsidy of Rs 9.30/kg for sugar export for maximum limit of 20,000 metric tons per mill. Sugar Mills have availed the entire quota and exported and fetched precious foreign exchange around US $ 650-700 million for the country that also supported balance of payment of the country to some extent at crucial time of the county. FSML also exported a huge quantity of 89,761 metric tons under these quotas which is the highest ever export in the history of the company. Global production for Marketing Year (MY) 2018/19 is forecast down 9 million tons to 186 million primarily due to the 8-million-ton drop in Brazil caused by unfavorable weather and more sugarcane being diverted towards ethanol production. Global stocks are forecast to rise to a new high of 53 million metric tons (raw value) as massive stock building in India more than offsets lower stocks in China and the European Union. India’s production is forecast to rise 1.8 million tons to a record 35.9 million due to higher area and yields (in spite of pest and weather concerns). Pakistan Sugarcane crushing season 2018-2019 appears to be challenging. Pakistan’s production is forecast to be down by 15-25 percent due to reduced area as farmers shifted to other crops such as cotton and corn because of better prices and faster return on their investment. Consumption continues to grow modestly with a developing food processing sector and growing population. Exports and stocks are projected to decline due to the lower production while final levels will depend on government policies. In December 2018, the Government of Pakistan allowed 1.1 million ton sugar export. Millers remain unhappy still as the latest export quota is not accompanied by subsidy and Pakistani sugar output remains uncompetitive in global market due to low sucrose recovery rate. Al-Hamdulillah, Faran Sugar is ranked amongst top Six sugar mills operating in the province of Sindh in terms of production. The diversified portfolio of our customers includes the manufacture of cereals, confectionery, syrups, drinks, ice creams, biscuits and so on. Having one of the most efficient sugarcane processing facilities, Faran sugar is well placed to develop its capabilities in the years ahead. We strive to take market leading position through anticipating all the important factors that affect our business verticals. We are committed towards achieving the highest standards of quality and environmental care. De-Bottle Necking at Mill I & II to increase capacity to 7,500 TCD. Completed Modernization and Expansion of plant initiated in 2011 enhancing crushing capacity to 9,000 TCD.